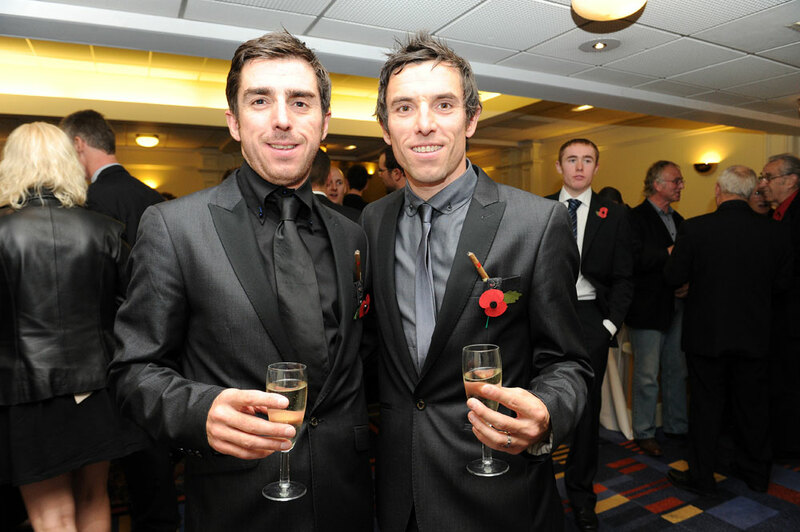 The Downing brothers will be reunited on the same team for 2014, as it was confirmed today that Dean will join Russ at the fledgling British NFTO squad. 2006 was the last time the pair rode together – for the DFL team – and after Russ’ move from NetApp-Endura was announced last week, Dean’s long-rumoured switch from Madison-Genesis became public this morning. “We’ll be working together to move the team forward,” Dean told Cycling Weekly. Along with team manager John Wood, the Downings will take on a behind-the-scenes role as well proving the squad’s roster with the attack needed to be competitive in the domestic scene. “John’s vision to develop the team on a yearly basis is what attracted to me to join when we first started talking earlier this year,” said Dean. “So I’ve got involved in things like speaking to riders about joining the team, chipping in with ideas for the kit, looking at the logistical side of things, planning training camps,” said Dean. Aged 35, Russ is three years younger than his brother, and joked with CW last week that by linking up with Dean once again, he may be able to persuade him to ride into his 40s. Russ said: “Dean’s not getting much younger and he’s working out how many more years he’s left in him. If I stayed in Europe then I might miss out on riding his last year with him. NFTO are hopeful of obtaining UCI Continental status, which would put them on a par with the likes of UK Youth and Raleigh. Like many of the domestic teams, their focus will be on the Tour Series, Premier Calendar series and obtaining selection for the Prudential Ride London-Surrey Classic and Tour of Britain. “The Tour Series isn’t everyone’s cup of team, but it rejuvinated my personal career and gives great exposure for the sponsors. The Premier Calendar is reportedly going to be bigger and better next year, too,” said Dean.